A source of complete, balanced nutrition for children ages 1 to 13 years of age that provides concentrated calories to meet the nutritional and caloric needs of children who require higher caloric density. Use under medical supervision. 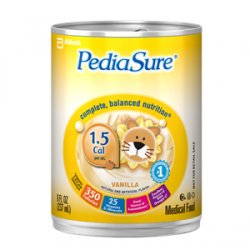 PediaSure 1.5 Cal is a source of complete, balanced nutrition for children ages 1 to 13 years that provides concentrated calories and protein meet the nutritional and caloric needs of children who require higher caloric density. Excellent source of protein, Vitamin D and Calcium per 8 fl-oz-serving. Can be used as a sole source of nutrition or as a supplement. For oral or tube feeding. Gluten-free, Kosher and Halal; Suitable for children with lactose intolerance*. Not for parenteral use. Use under medical supervision. 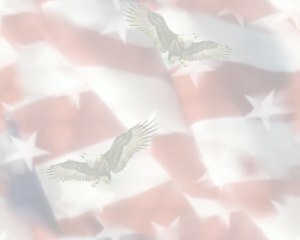 Water, Corn Maltodextrin, Milk Protein Concentrate, High Oleic Safflower Oil, Soy Oil, Medium-Chain Triglycerides. Less than 0.5% of the Following: Natural & Artificial Flavor, Potassium Citrate, Cellulose Gel, Magnesium Phosphate, Potassium Chloride, Soy Lecithin, Monoglycerides, Salt, Calcium Phosphate, Choline Chloride, Ascorbic Acid, C. Cohnii Oil*, Cellulose Gum, m-Inositol, Potassium Hydroxide, Carrageenan, Taurine, Sucralose, Ferrous Sulfate, dl-Alpha-Tocopheryl Acetate, L-Carnitine, Zinc Sulfate, Calcium Pantothenate, Niacinamide, Manganese Sulfate, Thiamine Chloride Hydrochloride, Pyridoxine Hydrochloride, Riboflavin, Cupric Sulfate, Vitamin A Palmitate, Folic Acid, Chromium Chloride, Biotin, Potassium Iodide, Sodium Selenate, Sodium Molybdate, Phylloquinone, Vitamin D3, and Cyanocobalamin.